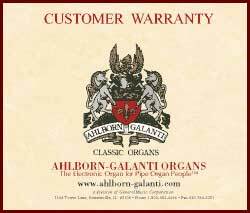 Ahlborn-Galanti Organs confidently provides a 10 Year Limited Parts Warranty on every new organ. Parts and support services for Ahlborn-Galanti organs are readily available from our centrally-located corporate headquarters in Bensenville, IL and authorized dealers nationwide. Limited Warranty. All parts -- ten (10) years from date of purchase. PARTS: Ahlborn-Galanti will provide, at no charge, to the original purchaser, the parts necessary to repair or replace any defective parts for a ten-year period. Repaired or replaced parts will be warranted for the unexpired portion of this warranty. Warranty repair or replacement shall not extend this warranty beyond the original warranty period. Transportation charges are the responsibility of the purchaser. IF A PROBLEM OCCURS which is covered under this warranty, you should contact your Ahlborn-Galanti dealer. 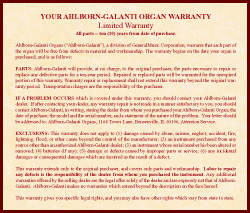 If after contacting your dealer, any warranty repair is not made in a manner satisfactory to you, you should contact Ahlborn-Galanti, in writing, stating the dealer from whom you purchased your Ahlborn-Galanti Organ; the date of purchase; the model and the serial number, and a statement of the nature of the problem. Your letter should be addressed to: Ahlborn-Galanti Organs, 605H Country Club Drive, Bensenville, IL 60106, Attention Service. EXCLUSIONS: This warranty does not apply to (1) damage caused by abuse, misuse, neglect, accident, fire, lightning, flood, or other cause beyond the control of the manufacturer; (2) an instrument purchased from any source other than an authorized Ahlborn-Galanti dealer; (3) an instrument whose serial number his been altered or removed; (4) batteries (if any); (5) damage or defects caused by improper parts or service; (6) any incidental damages or consequential damages which are incurred as the result of a defect. This warranty extends only to the original purchaser, and covers only parts and workmanship. Labor to repair any defects is the responsibility of the dealer from whom you purchased the instrument. Any additional warranties offered by the selling dealer are the legal offer solely of the dealer and are expressly not that of Ahlborn-Galanti. 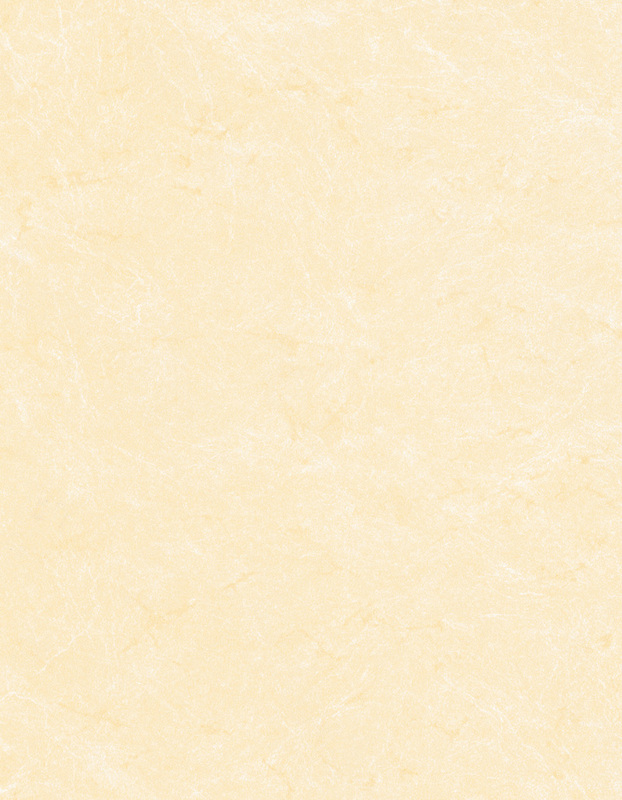 Ahlborn-Galanti makes no warranties which extend beyond the description on the face hereof.